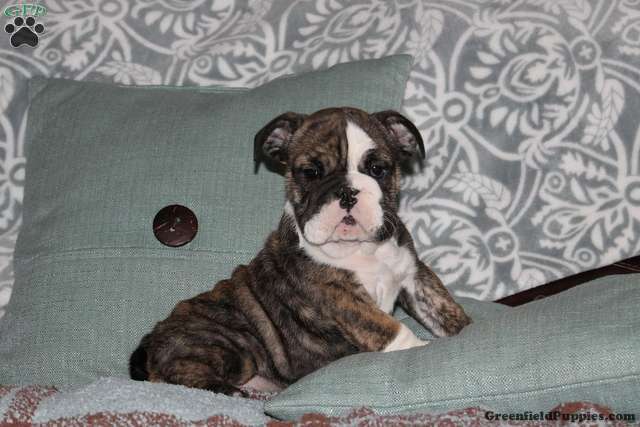 Here comes Lexus, a wrinkly English Bulldog puppy who is super friendly and ready to show you unconditional love. She is sure to make you smile. Lexus can be registered with the AKC and is up to date on vaccinations and dewormer. She is also vet checked and comes with a health guarantee that is provided by the breeder. 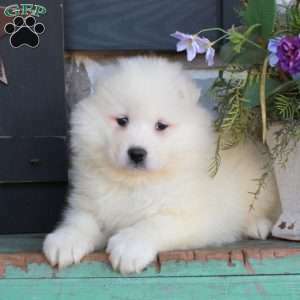 To find out more about this delightful pup, please contact the breeder today! 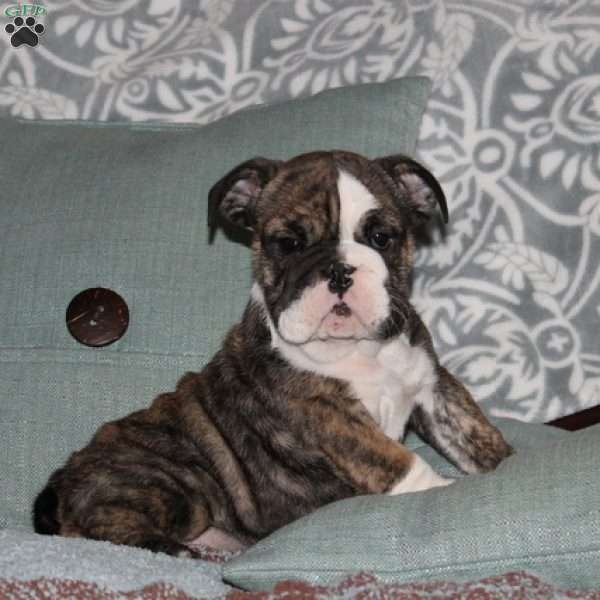 Lizzy King is a breeder located in Manhiem, PA who currently has a litter of English Bulldog puppies for sale. These pups can be registered with the AKC and are vet checked. They are also up to date on shots and wormer and come with a health guarantee. For more information, please contact Lizzy today.